Here’s a scary thought: you might have to go to restaurants in London or New York to find some of Mission Hill Family Estate’s ultra-premium wines. This week, during a release of two superb white wines, winery owner Anthony von Mandl revealed a winery strategy to get its top Okanagan wines into prestige locations elsewhere in the world. It is his view that the world will discover how special a wine region the Okanagan is only if the Okanagan reaches out to the world with its premium wines. His thinking underlines the confidence that Mission Hill (and a fair number of other B.C. wineries) now make wines that are, to use a tired cliché, “world class.” Those of us who taste a lot of wines know that be true. The Okanagan’s wine has been utterly transformed since 1981 when von Mandl bought Mission Hill, with perhaps the biggest transformation coming in viticulture. Since Mission Hill began buying its own vineyards in 1995, it has assembled 25 different vineyards, all of them professionally managed. This is the largest group of winery-owned vineyards in the valley (close to 1,000 acres) and Mission Hill is now 85% self-sufficient in grapes. Some of these vineyards now are being managed to produce premium wines, sometimes single-vineyard wines. Two were released this week and the story behind each shows that successful viticulture takes time. One wine was the 2008 Perpetua, a $35 Chardonnay that is the top of the line in Mission Hill’s family of Chardonnays. Mission Hill and John Simes, its chief winemaker, have an affinity for the variety. 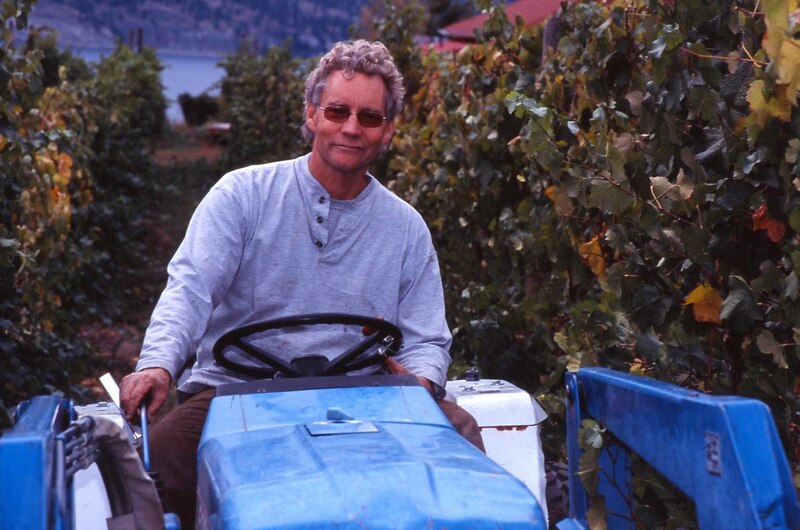 It was the first premium wine that John made when he arrived in the Okanagan in 1992 from New Zealand. That Grand Reserve Chardonnay was the top Chardonnay in the 1994 International Wine & Spirits Competition in London. This was likely the first serious international award won by a Canadian table wine (although our icewines had also just begun to turn heads). The victory of the Chardonnay gave von Mandl the confidence he needed to start investing in vineyards and ultimately turning Mission Hill into a showcase of wine. Perpetua comes from the first vineyard Mission Hill bought, a slope above Osoyoos right on the U.S. border. Among other varieties, the winery in 1997 planted three clones of Chardonnay. A decade after the vines were planted, they were producing grapes of such a quality that Mission Hill was able to craft this single-vineyard Perpetua. The 2008 is the third vintage of what is arguably one of Canada’s most elegant Chardonnays. The style of this wine sums up Mission Hill’s overall approach to Chardonnay: the oak is always restrained and the fruit is never obscured. For Perpetua, only 25% of the free run juice was barrel-fermented and aged 10 months in new French oak. The remainder was fermented in small stainless steel tanks. The result is a wine that is refreshingly clean. 94 points. The other white just released is Martin’s Lane Riesling 2009 (92 points), a wine that is crisply elegant and satisfying to drink. It is a single vineyard Riesling that has been under development for about five years. Martin’s Lane is the vineyard just below Mission Hill’s winery which was planted about 1995 to Riesling and Pinot Noir. The vineyard is named for von Mandl’s father, Martin, who died in 1994. To craft this wine, Mission Hill involved German Riesling ace Fritz Hasselbach, the owner of the Gunderloch winery on the Rhine. Several earlier vintages of Martin’s Lane Riesling ended up in a more generic Mission Hill Riesling. However, the 2009 vintage met the critical approval of Hasselbach, John Simes and Anthony von Mandl. The winery has released 400 cases at $25 a bottle. What is next at Mission Hill? Von Mandl revealed that the winery is considering a special Pinot Noir program, with a winemaker dedicated to making this varietal. Mission Hill now has several strong plantings of Pinot Noir to support such a venture – and there is a demand for the wine. Winemaker Roger Wong is a busy fellow. He is one of two winemakers at Gray Monk Cellars and is largely responsible for that winery’s red wines and its growing sparkling wine program. He also makes the ciders for Raven Ridge, a small but high-quality cidery in Kelowna. And since 2008, he has been making the wines for Intrigue Wines Ltd., a winery he launched with his wife, Jillian, and partners Ross and Geri Davis. Both couples have vineyards in Lake Country and also buy grapes from the north Okanagan. It is understandable that Intrigue still has a low profile. The partners all have other things in their plates: Jillian has two young children, Ross is a partner in a Kelowna technology company and Geri also works at Gray Monk. And Intrigue Wines does not yet its own tasting room. But the wines all qualify as VQA wines. They can be found in most of the province’s VQA stores, along with a few other Okanagan wine stores and restaurants. Theses are well-made wines, well priced and worth looking for. And the bottles, with their silkscreened labels, look smart on the table. Wine always tastes better when the label is appealing, or so it seems. The current releases include three whites from 2009. As a general comment, there seems to be a house style: Roger finishes the wines with enough residual sugar – although balanced with acidity – to please consumers who ask for dry but really prefer off-dry. He does not overdo it, however. The wines are dry enough to please those who really mean it when they ask for a dry wine. It is a fine line but Roger negotiates it very well. He has had a passion for Riesling at least since he was the winemaker at Pinot Reach Cellars (now Tantalus) where he made the Old Vines Riesling, then and now one of the Okanagan’s finest Riesling wines. That wine was, and continues to be, a boldly dry, mineral-laden wine with quite vibrant acidity. Intrigue Riesling 2009 ($19.90) is made in a different style, perhaps because Roger does not have access to those 32-year-old vines. This wine begins with floral and herbal aromas. On the palate, there are flavours of citrus and peach. The 14 grams of residual sugar flesh out the texture but the 8.1 grams of acid give the wine a refreshing, tangy finish. 88. In each vintage, Roger makes a blended white whose composition depends on the varieties available to him and what blends work best in a particular year. The label just carries the name of the year. Last year’s release was called 8 and the wine made this fall will be called 10. A nice, uncomplicated idea. Intrigue 9 2009 ($14.90) is a blend of Riesling, Gewürztraminer and Sémillon. It begins with aromas of herbs and spices and delivers a fruit bowl of flavours, including apricots and tangerines. The Riesling contributes a good backbone of minerals and the Gewürztraminer accounts for the spicy finish. The wine is ever so delicately balanced toward off-dry. 88. 1. There were empty seats on the aircraft. 2. And the cabin staff, for the first time ever in my experience with Westjet, cracked no jokes. Signs of a tough economy, perhaps? Another place where they are not cracking a lot of jokes these days is within the wine industry. Despite the Olympics, most of the wineries are not selling wines as fast as they used to; nor are they getting as much for the wines. The evidence of a weakening price is contained in the newly-released annual report of the British Columbia Wine Institute for 2009-2010. The average price of a 750 ml bottle of VQA wine was $17.54 in 12 months ended March 31, 2010. That average has risen almost without interruption since 1991-92, when it was $6.86, peaking in the 2009 fiscal year at $18.19. In only two previous years since VQA began have there been declines in the average price; and those were very minor. A decline of 65 cents a bottle is substantial and no doubt troubling to producers. As I watch the price adjustments that some wineries continue to make quietly, I think that the average will drop for a second year in a row. On the plus side, the overall sales of BC VQA wines have risen every year since VQA began 20 years ago. In the year ended March 31, 2010, the sales totalled $182 million, up 11% from the year before. It appears that some wineries are making up in volume for what they are losing in average value. I suspect there are a couple of explanations. Most notably, more wineries than ever have joined the VQA program, primarily to get their wines into the 19-store chain of VQA wine stores. Those stores sold eight per cent of all VQA wines last year. Access to consumers through that channel, along with the Liquor Distribution Branch and private wine stores, offset the apparent declines in orders from restaurants. In the economy of 2009, many restaurants chose to sell down their wine cellars. The perceived economic downturn of 2009 (which may have extended into 2010 for some people) seems to have caused wine consumers to reconsider how much they spend on wine. Anecdotal evidence suggest that consumers, who had begun to grumble about B.C. wine prices in 2008, began acting on those complains in 2009 by shopping harder for “value” and finding it among wines from Argentina, Italy and the Cellared in Canada segment. British Columbia wines still have the biggest share of the B.C. wine market. VQA wines had 19 percent of the market in the year to March 31, 2010, and the Cellared in Canada non-VQA wines had 25% of the market. Australia at 13.46% was a distant third. Those figures show that the B.C. wine industry still retains that impressive consumer loyalty earned over 20 years of VQA. However, the fact that Cellared in Canada wines outsell VQA wines shows that consumers are shopping for inexpensive wines they identify with B.C. wineries. Most of these wines sell for less than $10 a bottle. Producers of VQA wines will need to be agile going forward. Currently, there is a surplus of VQA wine on the market, not so much from consumer resistance (there is not that much yet) but from added production that has come from all the new wineries and vineyards that have been developed. Older vintages are beginning to stack up on wine store shelves – 2008 rosés when the 2009 rosé wines should be on the market. Other anecdotal evidence points to a surplus of grapes this fall. One top-flight grower, for example, was recently looking for Vancouver Island wineries to buy some of his grapes. If it is challenging for wineries, it is a good time to be a consumer. For example: CedarCreek has just made significant reductions in the price of three of its 2006 Platinum Reserve wines. The Meritage and the Merlot each are cut by $10 a bottle, to $35 and $30 respectively while the Pinot Noir is reduced $5 to $35. These are excellent wines. The strategy is to clear them from the shelves to make room for the 2007 Platinum Reserve wines, which have entirely different labels. Having them side by side would confuse consumers. It happened that, after a small volume vintage in 2005, the 2006 vintage was abundant in the Okanagan and the quality was high. CedarCreek decided to increase its production of Platinum Reserve wines. Since it takes at least two years before big reds like that are market-ready, those 2006 wines arrived about the same time as the global financial crisis. That’s why they have hung around a little longer than expected. “We’re selling the vintages that we should be selling,” Fitzpatrick adds. The winery began adjusting its portfolio to market conditions about 18 months ago, producing more wines at price points below $20 and fewer wines at premium price points. Established wineries like CedarCreek have the resources and the marketing reach to adjust to the current wine markets. That may not be so for everyone in the industry. One of the major Okanagan wineries chose to sit out Taste – Victoria’s Festival of Food and Wine because winery officials thought the turnout for last year’s Taste (the first) was a bit lukewarm. I have news: this year’s turnout was better and, from my observation, the 33 British Columbia wineries attending were happy with the response. In fact, Vivianne Hanson, one of owners of Seven Stones Winery, a rising star in the Similkameen, was ecstatic at how consumers were responding to the Seven Stones wines. Numerous Okanagan and Similkameen wineries were at Taste for the first time. For some, it may have been the first time that they were showing wines in Victoria. Of course, it is a reflection of the times. The number of wineries in British Columbia has tripled in the last decade. Getting and keeping market share is a lot harder than it once was. The winery I was most surprised (and pleased) to see there was Blue Mountain Vineyard and Cellars. In the 1990s, this was the Okanagan’s original cult winery. Fans clamoured for Blue Mountain wines, which usually sold out in days or weeks of release. These days, Blue Mountain wines no longer sell out in a blink. The wines are as good as ever but there is a growing list of competing cult wineries. So Blue Mountain is showing up a more festivals, doing some winemaker dinners and offering wine for sale in private wine stores. Sitting out events like Taste may not be an option. The 33 producers at Thursday evening’s public tasting included two Vancouver Island cideries, Victoria Gin and Artisan SakeMaker at Granville Island. These 33 had tables throughout Victoria’s Crystal Gardens, intermingled with food stations from some of the city’s best restaurants. Crystal Gardens is spacious enough that there seemed no serious overcrowding in front of winery or restaurant tables. Even so, it was not possible to visit everyone in the time available. I did my best. Here are notes on some of the more notable wines. Alderlea Vineyards 2007 Matrix ($28). This is the new name for Fusion. An Argentinean winery, Zuccardi, has a big volume brand called FuZion but had neglected to trademark it in Canada. So they bought Alderlea’s trademark and Alderlea rebranded its wine as Matrix. This red is made from Cabernet Foch, one of the crosses from Valentin Blattner in Switzerland. The flavour is closer to Cabernet than to Foch, with dramatic aromas of herbs and spices. It tastes of red plum and currants and has piquant acidity. It is a new taste profile among B.C. wines. 88. Alderlea Vineyards 2009 Bacchus ($16). The spicy aromatics of Bacchus can be over the top sometimes – but not here. This is complex wine with tangy orange peel and spice flavours, none of which will overpower food. 89. Alderlea Vineyards 2006 Pinot Noir Reserve ($32). The wine begins with aromas of plums and black cherries which carry through to the flavours. The texture is classically silky but the wine has the structure to age for another several years. 89. Blue Mountain Vineyards & Cellars 2008 Pinot Blanc ($18). The wine is crisp and disciplined, with fresh, clean tastes of citrus and green apples. 88. Blue Mountain Vineyards & Cellars 2008 Pinot Gris ($21). An attractive fresh, crisp white with flavours of pears and citrus and a hint anise on the finish. 89-90. Blue Mountain Vineyards & Cellars 2008 Pinot Noir ($25). Since opening in 1992, this winery has been a leader in Okanagan Pinot Noirs. This is a delicious wine, full of fruit flavours, with a velvet texture and an elegant, finessed finish. 90. Jackson-Triggs 2007 SunRock Shiraz ($34.99). This winery offers three different Shiraz wines and at least one Shiraz-Cabernet blend and all are good. But this single vineyard Shiraz really stands out – a bold, ripe wine with rich spicy fruit flavours recalling a Christmas pudding. 92. Mt. Boucherie Estate Winery 2009 Unwooded Chardonnay ($15). It would be great to have a few bottles of this chilled for whenever the thirst hits. It has fresh, tangy citrus and peach flavours and the vivacity you get from New Zealand whites. 87. Mt. Boucherie Estate Winery 2007 Summit Pinot Noir ($20). This wine, which has a silky texture and aromas and flavours of strawberry, delivers great value in a budget-priced Pinot. 88. Muse Winery 2007 Grande Dame Rouge ($34.90). This blend of five Bordeaux varietals is from a Vancouver Island winery that makes wines both from island grapes and, in the case of its Big Red, from Okanagan grapes. This wine has a deep colour and flavours of spice, plum, currants and chocolate, with long, ripe tannins. 89. Peller Estates 2008 Private Reserve Cabernet Sauvignon ($19.99). This may be the best budget-priced Cabernet in B.C., with flavours of currants and spice and with long ripe tannins, giving it body and the potential for aging a few years. 88. Rocky Creek Winery 2008 Pinot Noir ($21.90). In a tough vintage, winemaker Mark Holford concentrated the fruit flavours and the colour by bleeding off some juice for rosé. This is a clean, fresh Pinot Noir with hints of raspberry. 87. Salt Spring Vineyards 2009 Blattner White ($N.A.). This wine is so new that the winery has not yet come up with a proprietary name. It is a blend of Petit Milo and Epicure, two white varieties created by Swiss breeder Valentin Blattner. These are early-ripening varieties. In last year’s summer the winery was surprised by how fast the grapes ripened. The outcome is a lovely honeyed wine with enough acidity still to have a tangy finish. A conversation piece and there are only 100 cases. 88. Salt Spring Vineyards Karma 2007 ($34.90). A traditional sparkling wine made with Chardonnay and Pinot Noir, the current release has spent 18 months in bottle. The next release of this same vintage is due in about six months. The strategy is to monitor the impact of aging on the wine’s acidity. This release is dry and steely and crisp. 87. Seven Stones 2008 Pinot Noir ($28). Another attractive velvet-texture red with notes of strawberry and cherry. The finish of this delicious wine lingers and lingers. 88-90. Seven Stones 2008 Row 128 Merlot ($25). Owner and winemaker George Hanson says this Merlot grows in a part of his vineyard that has an almost spiritual ambiance to it. You can imagine how he treats the grapes. This juicy Merlot has bright fruit flavours of cherry and plum with a hint of spice, likely from 18 months the wine was in barrel. 90. Starling Lane Celebration N.V. ($N.A.) Made in the traditional Champagne style, this is a blend of Chardonnay and Pinot Noir. The latter variety gives the wine a hint of colour and fruity flavours. In a blind tasting you might mistake this for Champagne, with its toasty notes, its fruit, its fine bubbles and its long, long finish. This is sold out at the winery but the next release is due this fall. 90. Therapy Vineyards 2008 Chardonnay ($N.A.). This is a classic barrel-aged Chardonnay, with complex flavours of citrus, butterscotch and cloves. 89-90. Therapy Vineyards 2007 Freud’s Ego ($16). Great value, this delicious wine has gobs of black cherry and currant flavours, with ripe tannins. A terrific Bordeaux blend at this price. 90. Venturi Schulze Vineyards 2009 Millefiori ($23). This pristine and focussed aromatic white, a blend of Ortega and Siegerrebe, has a lovely aroma of tropical flowers and fruits, leading to vivid flavours of tropical fruits. The finish is crisp and refreshing. 90. The winery also offers a barrel-aged wine, Terracotta 2009 (also 90), from the same two grapes. Winemaker Giordano Venturi said he wanted to make a wine like an old-fashioned Burgundy. I think he succeeded. Venturi Schulze Vineyards Brut Naturel 2007 ($32). The elegant and dry sparkling wine is made in the traditional Champagne method, spending enough time in the bottle on yeast less to acquire a classic bready aroma. The flavours are delicately fruity. The fine bubbles give the wine a creamy texture, even though the finish is crisp. 88. Ten wineries emerged as winners in this year’s competition for the Lieutenant Governor’s Awards for Excellence in British Columbia Wines. Seventy-one wineries submitted 281 wines for one of the toughest of British Columbia’s wine competitions. A maximum of 12 awards are available. This year, 11 awards will be presented to winemakers at the end of July by Lieutenant Government Stephen Point, with award ceremonies at each winery. This competition was inaugurated in 2003 by the previous Lieutenant Governor, Iona Campagnolo, and is recognized as one of the most prestigious competitions for British Columbia wines. Desert Hills Estate Winery for its 2009 Gamay Noir ($19.90). 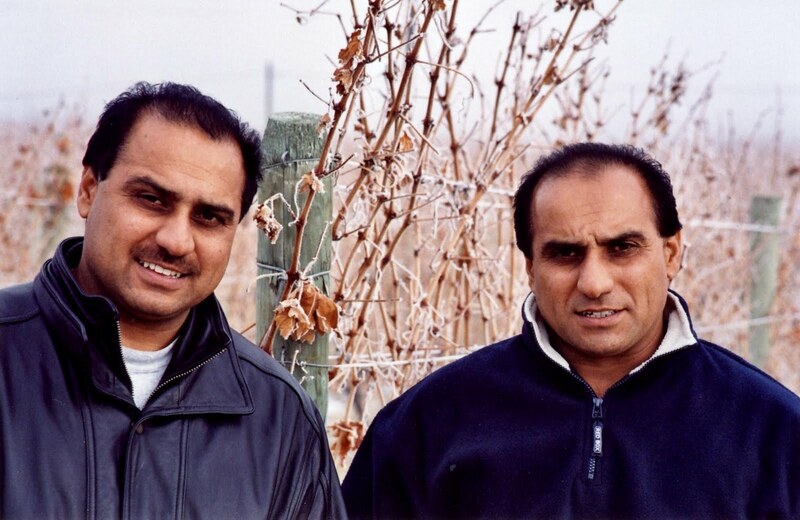 This winery was opened in 2003 by twin brothers, Randy and Jessie Toor and their families. This is a previous winner of an LG Award (for 2004 Syrah). The winery, on Black Sage Road, has a portfolio that includes Chardonnay, Pinot Gris and Gewürztraminer among the white, and Merlot, Cabernet Sauvignon, Mirage (a Bordeaux blend), Syrah, Malbec and Zinfandel. Foxtrot Vineyards for its 2007 Pinot Noir ($55). A specialist in Pinot Noir and Chardonnay, this Naramata Bench winery, owned by Torsten and Kicki Allander, began making Pinot Noir in the 2004 vintage. Because the production is small, the wines seldom appear in retail stores. The winery sells directly to private customers and restaurants. The winery has no public tasting room. This is its first LG Award. Gray Monk Estate Vineyards for its 2007 Odyssey White Brut ($26.99 – but on sale currently at $24.99). One of the original estate wineries, Gray Monk got serious about making sparkling wine after small lots made for winery anniversaries were very well received. This wine is a blend of Riesling and Chardonnay, bottle-fermented and left on the lees for 16 months. The winery also makes an excellent Rosé Brut. Roger Wong takes the lead role in making bubble. Inniskillin Okanagan Vineyards for its 2007 Discovery Series Sangiovese ($29.99.) This is the signature grape of Tuscany and it does not travel especially well. However, there are two solid Sangiovese wines made in the Okanagan. To make this one, Inniskillin Okanagan winemaker Sandor Mayer gets grapes from Vincor’s nearby Bear Cub Vineyard. The best place to find this wine is at the winery’s own shop. Only 100 cases were made and only a few remain in the wine shop. This winery has won three LG Awards at two previous competitions. Painted Rock Estate Winery, which just opened last fall on a vineyard below the Skaha Climbing Bluffs, won two awards: for its 2007 Red Icon ($55), a Bordeaux blend, and for its 2007 Cabernet Sauvignon ($40 but sold out at the winery). Owned by John Skinner, a former Vancouver investment advisor, Painted Rock’s business plan is to make ultra-premium wines. Its wines are in some private wine stores, in many restaurants and at the wine shop at the vineyard. Peller Estates Winery for its 2008 Private Reserve Riesling ($15.99). 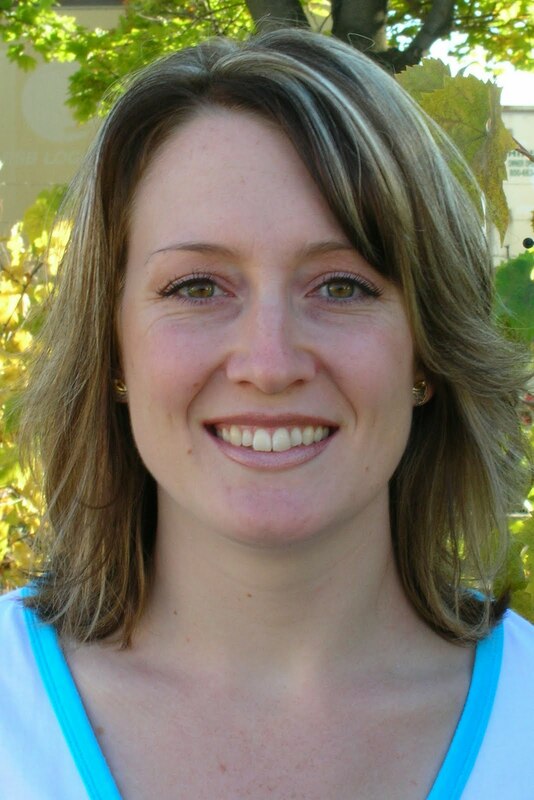 Peller, under winemaker Stephanie Leinemann, also won an LG Award last year for an equally affordable Pinot Noir. This dry Riesling – the winery released almost 1,000 cases – is available in the B.C. Liquor Distribution Branch and in wine shops across western Canada. Pentâge Winery for its 2009 Gewürztraminer ($17.50). This is the first LG Award for Paul Gardner and Julie Rennie's small winery, located not far north of Painted Rock, on what is coming to be called the Skaha Bench. This slightly off-dry wine is available from the winery, which sells most of its long portfolio directly over the internet. Poplar Grove Winery for its 2007 Syrah ($30). This winery is a comparatively recent producer of Syrah, having previous made its reputation with Merlot, Cabernet Franc and premium red called Legacy. Ian Sutherland, one the founders, is the winemaker. The wines can be found in private wine stores and at the wine shop on Naramata Road. The winery also sells over its web site. Sandhill Wines for its 2007 Single Block Merlot ($35). Sandhill and winemaker Howard Soon are repeat winners of LG Awards. The winery produces superb wines under both its Small Lots program and for its general list. This is a Small Lot wine … and good luck finding it. Only 119 cases were made. Van Westen Vineyards for its 2008 Vino Grigio ($18.90). A first-time winner, this is family winery on the Naramata Bench with a rising reputation. Winemaker Rob Van Westen gives all of the wines beginning with V. The wines are sold in VQA and private wine stores. This wine, a Pinot Gris, may be hard to find because only 333 cases were made. Like many wineries, Tinhorn Creek Vineyards operates a membership club. It is called the Crush Club. Membership is free as long as one commits to buying a case of wine a year, as selected by winemaker Sandra Oldfield. Members get a 15% discount, not that Tinhorn Creek overcharges for its wines in the first place. And there are a lot of other benefits, including advance notice on tickets for winery concerts and VIP tastings. If you have not joined and if you love rosé, there is another reason for joining. The winery’s spring releases included Tinhorn Creek’s first rosé ever. It is a wine so good that it is released under the winery’s premium Oldfield Series label. And it is being sold at $20 only to the Crush Club members. It is so exclusive that it is not even listed on the winery’s web site. The overall appeal of the winery’s 2009 whites and the rosé speaks well for the quality of the 2009 vintage at Tinhorn Creek and in the south Okanagan. The vineyards benefited from a long, warm summer during which the grapes galloped to early maturity. That was a lucky thing. When a hard frost hit on the Thanksgiving weekend, unusually early for the Okanagan, most vineyards had picked all their whites and a lot of the reds. Not enough reds have been released to allow one to judge the quality of 2009 reds. However, you can buy the whites and rosés with confidence. The Oldfield Series 2Bench Rosé 2009 is the first rosé that Sandra has made in her 15 vintages at Tinhorn Creek. Notes from the winery say that “it was done covertly in the wee hours of the morning.” I am not sure I know why one of the winery owners would have be stealthy about that, but never mind. This vintage, her partners will be demanding she make rosé. The blend here is 46% Merlot, 46% Cabernet Franc and 8% Pinot Gris. Juice from the two red varieties was bled from vats of crushed grapes; the Merlot juice was bled after six hours and the Cabernet Franc after 24 hours of skin contact. This is a useful French trick, called saignée, which not only harvests juice for rosé but leaves the remaining red wine darker and fuller. In general, no more than 15% of the juice is bled away for rosé. Sandra likely bled far less because the winery, which makes a lot of Merlot and Cabernet Franc, released a mere 103 cases of rosé. This is a bold wine with cranberry hue, the sort of rosé that a man would drink and not lose face. It begins with a big blast of fruit – cherries and ripe strawberries – with aromas of strawberries and rhubarb. The wine is well balanced: the residual sugar is perceptible only in the texture because the lively acidity finishes the wine toward dryness. 90. Oldfield Series 2Bench White 2009 ($22.99) is a label that has been around for several vintages and has acquired a loyal following for this complex white blend. This is 44% Chardonnay, 26% Sauvignon Blanc, 17% Sémillon, 12% Viognier and 1% Muscat. This is a rich white with 14.4% alcohol – but the fruit flavours are so generous that one does not notice the alcohol. It begins with herbal and floral aromas. On the palate, there are flavours of melons, pears, and citrus fruits, with peach on the long, lingering finish. The winery released 1,331 cases. 90. Chardonnay 2009 ($16.99). This is a textbook Chardonnay in showing how to use oak to enhance the varietal without submerging the fruit. Only 23% of this wine went into new French oak, and then only for two months, with lees stirring. The rest was aged in stainless steel before a final blend was made. The result is a lovely, fruit-forward Chardonnay bursting with citrus, guava and apple flavours. The oak is nicely in the background, barely perceptible but doing its job in adding complexity. As well, the time on lees give the wine a full texture. The alcohol level may seem a bit on the edge but once again, the wine has so much fruit and texture that one never notices the alcohol. In a word, this is a delicious wine. There is a lot of it and the price is very good. If you have not had a good Chardonnay in a while and are leaning to “anything but”, this will bring you back to Mother Church. 2,240 cases were made. 90. Pinot Gris 2009 ($16.99). The winery has released 4,781 cases of what is perhaps its flagship general-release white. The grapes for this wine were partly machine-picked at night or early morning because experience shows that the best way to preserve fruit flavours is that start with cool grapes and then ferment the juice at cool temperatures. Two-thirds of the wine was fermented in large tanks, one-third in small steel barrels, a technique to get more lees contact and thus more texture. Thanks to its bright acidity, this is a tangy wine with aromas and flavours of citrus, pears and apricots. The winery’s own tasting notes also speak of a touch of honey. 88-89. Gewürztraminer 2009 ($16.99). The winery released 3,922 cases. I want to retaste this wine in a couple of months. My sample was unusually mute in aroma which is a clue to a Gewürztraminer that wants more bottle development before it will show the expected lychee flavours and spicy, rose petal aromas. 85.